Laundry rooms are very busy places in every household, and these rooms can become crazy and disorganized quickly. 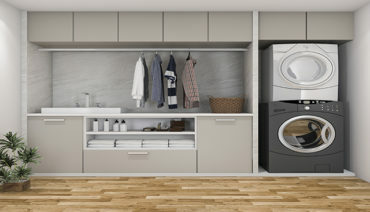 If everything is in a specific place and the design of the room is functional, it may take a lot of the stress off the daily or weekly activity of laundry. Your Clifton, NJ laundry room could possibly be one of your favorite rooms after you work with Closets Direct. Knowing where the laundry detergent and the fabric softener are at all times is vital, but there are other issues that can create problems in the laundry room. Sorting laundry, hanging laundry, ironing, and other activities all go on in this same space, so keeping it functional is key. Making sure everything works together is where Closet Direct does its best work. When you schedule a consultation, our design specialist will come to your home and take a complete assessment of your space. Measurements, inventory and customization goes into factor when we begin to look at your space. We also want to hear from you because you will be the person using this on a regular basis. We need to know what you are looking for and what your vision is so we can help to create it for you. After our consultation is complete, we go to work creating a 3D rendering of the space to allow you to see your laundry room just as it will be when we are done. This can take up to 2 days, but if time permits, we will complete it the same day. Closets Direct will be able to bring your customized design to life so you will be able to see the amazing transformation before we even change anything in your home. By allowing you to see where everything is and where all items go, you can see the intricacies and approve our design. Once approved, we provide you with our estimate so you can be pleasantly surprised at how affordable our custom work is. We take extreme pride at Closets Direct in having completely satisfied customers. We have numerous personal referrals from our over one thousand satisfied customers. Our design specialists utilize their experience of over a decade to create a customized space that meets all of your needs and specifications. No job is too big or small, and we can help you to create a space that you will be pleased with for years. 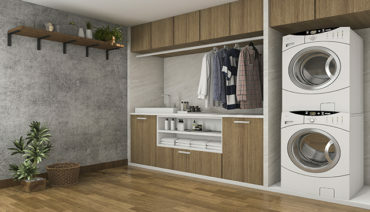 Closets Direct is ready to help you transform you Clifton, NJ laundry room into a special space for you. We will use all of our skills and experience to make your vision come to life. 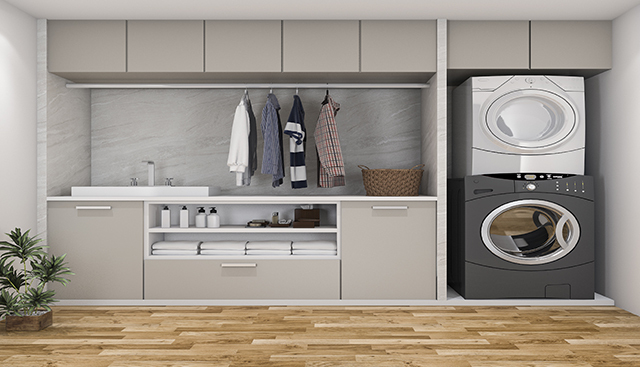 Our access to the best products, the top accessories, and the most efficient equipment will create the laundry room of your dreams. There is no reason to delay having Closets Direct come by and create the very best laundry room that we can so you will not have to struggle with laundry any longer. Call us today for a consultation.